Training and Mentorship are combined under The School of Garden Management (www.tsogm.org). 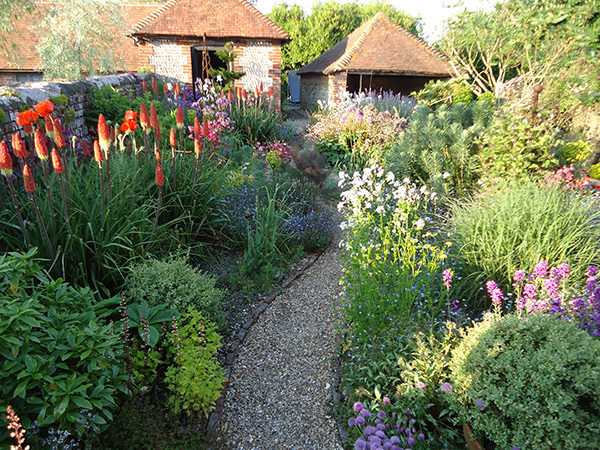 The School is a new and unique combination of practical advice and inspiration for all those involved in the Design, Construction and Maintenance of Gardens. Based on the Survival Manuals (The Landscapers Survival Manual (2013) and The Head Gardeners Survival Manual (2012) written and published by Alan Sargent, a series of progressive courses is provided, and backed up with personal, bespoke, one to one email contact with the author. Every aspect of starting and running a profitable business is dealt with – all based on the hard won experiences of both Alan and his son, James Steele-Sargent MCIHort, md. of multi-award winning landscape company, Arun Landscapes Ltd over many years in the industry. The courses are not based on any College work, and because they are tailored to suit people as individuals, recognising that everybody is different, and at various stages in their career, the coursework is designed to suit each person at whatever level they are currently at. This ‘structured flexibility’ affords the opportunity to revisit areas of concern, and allows the student to change career path should certain aspects prove more appropriate to their circumstances, and not simply follow rote. Please see full details on the web site www.tsogm.org. ON-SITE Training of Staff (usually at Senior level) is also offered to anyone seeking to increase the knowledge of their staff, especially regarding Management issues or matters pertaining to the well running of their gardens. As each site is different, an initial interview with the property owner is an essential part of the preliminaries prior to producing a bespoke programme of training requirements, strengths and weaknesses. Rates for On-Site Training are variable dependent on distance and number of visits. No charge is made for mileage or travel. No charge is made for overnight accommodation. Site visits are limited to mainland England. Other locations are subject to individual quotations. Day rates are from £350.00 including travel and office time, with no disbursements.